Corporate tax reform. Geneva decides to wait. You are here: Home / News & features / Business & Economy / Corporate tax reform. Geneva decides to wait. 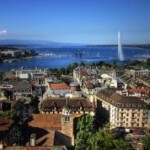 According to the newspaper, Geneva is in no hurry to move forward with proposed changes to the way companies are taxed. On Wednesday Geneva’s State Council also said it expects a cantonal referendum. Examination of the proposed changes by the Federal Parliament will begin this winter and be implemented in 2019 at the earliest. 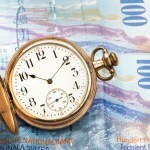 Geneva expects a CHF 350 to 500 million loss of tax revenue, possibly even more. In addition there are fears that 60,000 jobs could be lost if companies on preferential tax deals decide to leave. Patent boxes also concern Geneva’s government. Patent boxes, part of the proposed regime, allow companies with intellectual property to reduce their taxes. Geneva is concerned these could be used by the watch industry and reduce the canton’s tax take even further. Under pressure from the OECD and the EU, Switzerland is being forced to make major changes to its tax system. Currently, numerous multinationals benefit from special low-rate tax deals, while other companies pay a higher standard rate, currently 24% in Geneva. The proposed regime would require all companies in Geneva to pay 13%, removing any preferential treatment, something the OECD and EU don’t like. This would mean that those on special deals would pay more and those on the standard rate would pay less. Because there are currently more corporate profits taxed at the standard rate than at lower special rates there will be less tax revenue and a hole to fill. 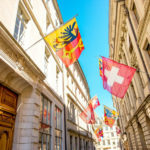 Bern has said it will help to fill these holes in cantonal finances, however the sums have not been finalised and Geneva, along with other cantons, is angling for more. Geneva is waiting for greater clarity before introducing a bill at cantonal level and facing a cantonal referendum.